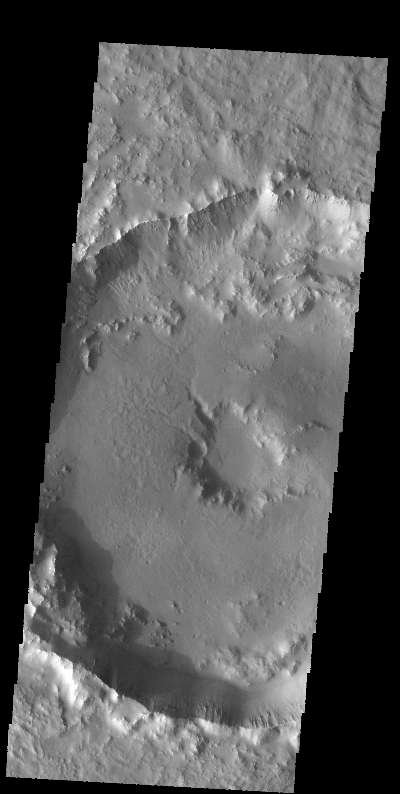 Today's VIS image shows an unnamed crater in Noachis Terra. This crater has a pit in the center of the floor of the crater. Craters can have several different features at this location, including a peak, a pit, or a smooth floor.